Right around the corner from the well known private boarding school, Choate Rosemary Hall, I find myself on Center Street. Across the street from Center Street Cemetery, I can’t help but notice the very colorful fire hydrant out of the corner of my eye. Placed on top is a baseball cap. 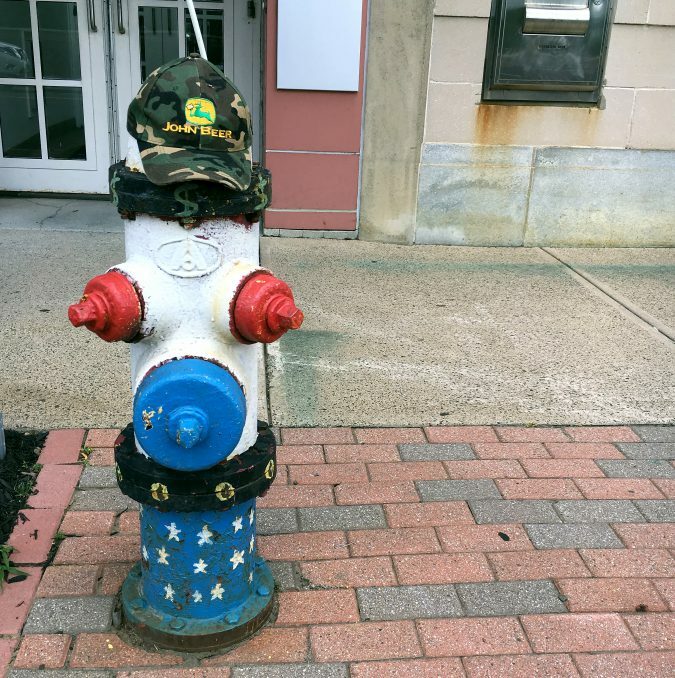 I am not sure why it is there, but one thing is for sure you can’t get more “All-American” than a John “Beer” hat resting on top of a red, white, and blue fire hydrant.